il-Ri Gyti is my baby. I started work on it nearly ten years ago, and it has transformed so much from the original idea, but I’m still so very in love with it. This the series I’ve poured so much passion into. I have an epic plot line (and an epic outline to match it), pretty solid characters, three invented languages (yes, you read that right), and an encyclopedia in the works – just so I can keep it all straight. I have a couple thousand years of history figured out, three different kinds of governments established, and heartache a-plenty. This is a story where I can go back and read my rough drafts and I’m still so happy with it, even after the years I’ve spent learning how to write BETTER. That’s because the planned prologue turned into 50,000 words. I seem to have that problem, because I did it with Catalyst, too. Oops. Currently, I have most of books 1 (currently untitled) and 2 (Stars for the Dead) drafted. 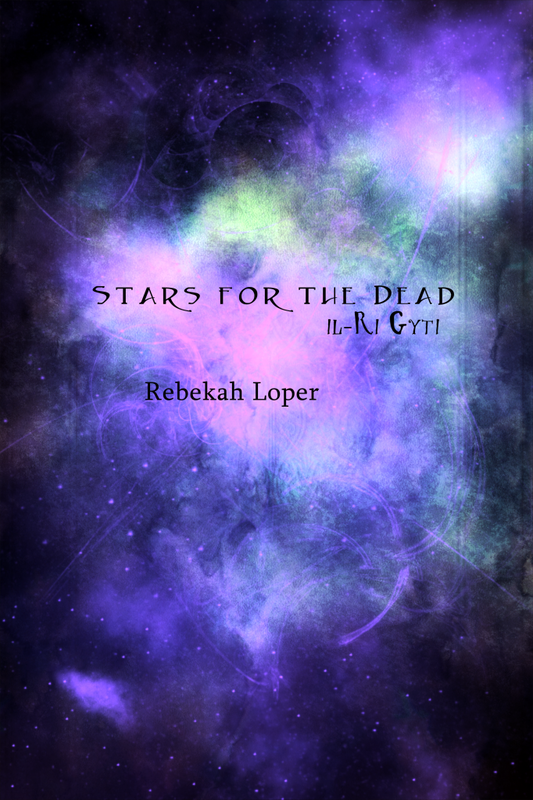 Book 1 (when I thought it would have the title of Stars for the Dead) was written for NaNoWriMo 2011. Book 2 (now bearing the title Stars for the Dead) has been steadily worked on for several years, but still has a way to go. Dina was eleven when she witnessed her parents murder, right after she saw the mark on her mother’s arm that labeled her a heretic. She hid the secret for years, because if her people knew their High Priestess had converted, Dina’s life would be in danger. Forced to join the Otwlh, an army of female soldiers, Dina gains access to the palace and learns that everything is not as it seems. But after a coup d’etat, Dina finds herself on the wrong side of everything she has ever known. Now, with three countries on the brink of war, Dina finds herself questioning everything – especially the supposed heresy of her mother, and which side is the right one. Previous What is The Undoing Chronicles? Next What is The Chronos Legion?